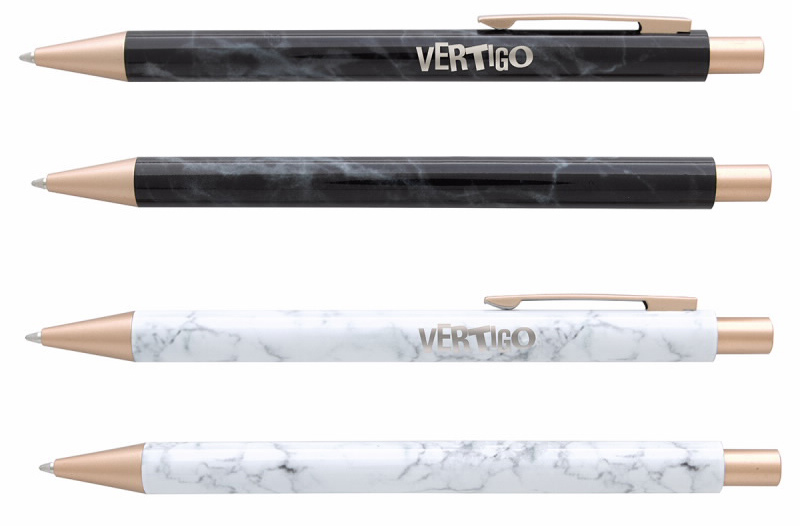 Stay trendy with this new Marble Finish Pen. The pen comes in black or white marble and is laser engraved. Quantity 150 - ($238.50) 1.59 ea. Quantity 250 - ($322.50) 1.29 ea. Quantity 500 - ($595.00) 1.19 ea. Quantity 1000 - ($1090.00) 1.09 ea.